The website ranking game is getting tougher day by day in this Online Arena. There are huge strategies followed and built by many people around the world for making the internet the best place. The websites and weblogs are performing well in these days. The ranking factors are the key concept for booming any website/weblog organically over Search Engine Platform. The LSI Keywords Strategy are also gaining fame in ranking the website. What is LSI – Latent Semantic Indexing Keyword? How To Find LSI Keywords Quickly? Do The LSI Keywords Help You Succeed? How To Implement The LSI Keywords Strategy? The Latent Semantic Indexing (LSI) Keyword is the phrase which is relevant to the main keyword. It may be the synonym or related keyword of any primary keyword. The LSI keyword is helpful in commanding the Search Engine about the particular topic or theme of the blog post. For example, If your blog post is about the “Apple iPhone Product”, you’ll be inserting the “Apple” keyword in your post. Will the Search Engine Consider your blog post as a piece of written form of “Fruit Apple” or “Steve Job’s Apple”? Confused Right? Cool, this is where LSI Keyword comes in. 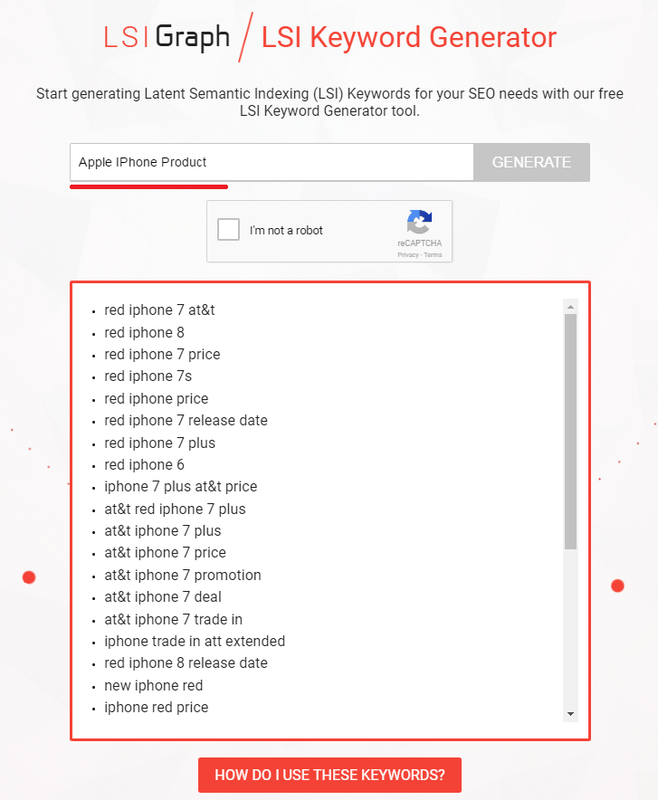 So, to command the Search Engine about “Apple iPhone Product”, you’ve to insert LSI Keywords such as “iOS”, “Steve Jobs”, “iPhone”, “Siri” and so on. Thus your blog post theme would be analyzed thoroughly by the search engine robots. Yeah, this is called as Latent Semantic Indexing Keyword (LSI). You’ll be getting more details about LSI keyword in this Blog Post. This article is all about the ultimate guide to LSI keywords in Search Engine Optimization sector. LSI helps the blog get the enormous amount of organic traffic for the wide range of keyword without getting penalized by Google. Thus, LSI acts as a supplementary keyword that relates and covers the targeted audience. Latent Semantic Indexing keywords are the one which may or may not be the synonym of the primary keyword. But Long Tail Keywords are the one which adds the extra keyword to the primary one without degrading its primary synonym. “Apple iPhone” – Steve Jobs’ Mobile Company, Siri Installation, Airplay, iTunes & more things relating iPhone keyword. “Apple iPhone” – Apple iPhone 7 promo deals, Apple iPhone complete guide, Apple iPhone charger, Apple iPhone best offers, Apple iPhone best offers December and more things that add some text to the primary keyword. The LSI Keywords shows the relevancy of the major keyword whereas the Long Tail Keywords determines the extended keywords to the primary one. The LSI keywords could be easily gained with the help of several awesome tools and plugins. You could also manually find the Latent Semantic Indexing keyword without the help of any great tools. The secret place for finding the valuable LSI Keywords would be discussed in this blog post. This method works for different types of blog post content that you’re supposed to post on your blog with least effort. The major tools for generating the LSI Keywords are listed below. The Google Autocomplete feature is the number 1 source for finding the potential LSI Keywords. This could be also scrapped with the help of some of the tools. The Google Autocomplete feature is the one which automatically shows relevant search query while searching with the help of Search Engine’s Query Field Box. 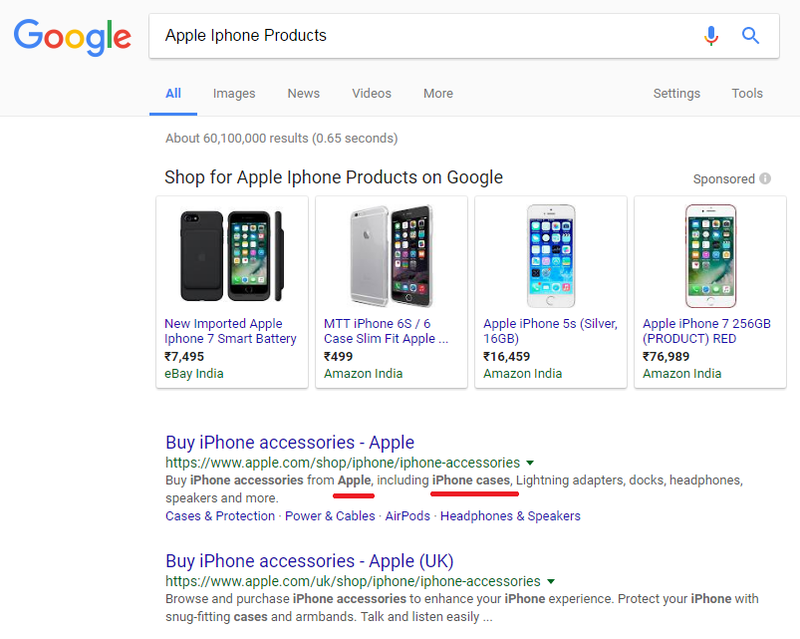 For Example, whenever I search for the term “how iphone is different from”, the Google Search Engine shows some of the recommendations such as “how is iphone different from ipad”, “how iphone 5 is different from 4s” & more under the drop down query box. These are some of the key concepts for the LSI Keywords. 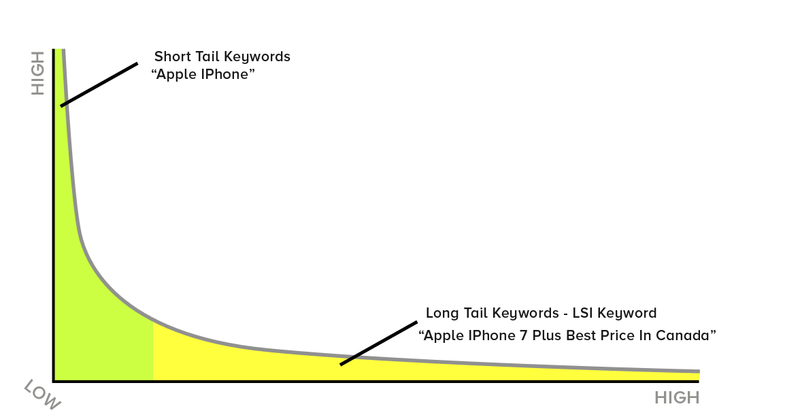 So, here I’ve got some of the LSI Keywords that relates the iPhone from the above Google Autocomplete feature. The second way to find the potential Latent Semantic Keywords are through Related Search Section. This is the section most often seen at the bottom of the Search Result returned by the Search Engine. For Example, if I google as “how is iphone different from ipad”, the Google will show the results based on relevancy. Now, at the bottom of the page, you could find “Searches related to how is iphone different from ipad” section. This is the goldmine area for finding the potential LSI Keywords. The LSI Graph is an Online Tool which helps the people find Latent Semantic Indexing Keywords as quick as possible. The keywords that are semantically linked to the major keyword will be displayed in this online tool. It helps the people quickly get the LSI keywords for any particular term in 10 seconds. It is an Online Tool that shows some of the potential LSI keywords very quickly. It has a simple layout with the powerful algorithm. 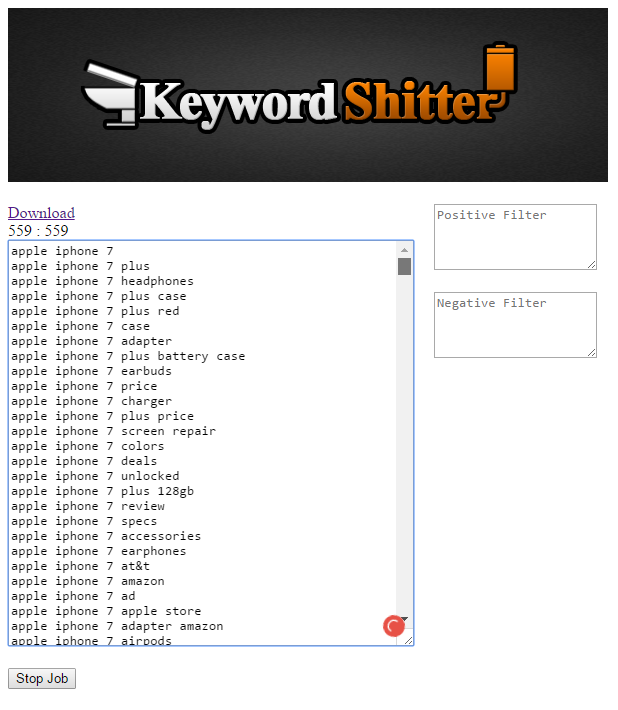 The positive filter and negative filter field box allow the users get the right LSI keywords instantly. I hope you’ve some basic knowledge about Google’s Keyword Planner. Yeah, this is the best keyword tool that helps the people do proper Keyword Research. Here, you could get some potential LSI keyword as well. Apart from that, you’ll come to know the Latent Semantic Indexing Keywords that have the real potential along with Google’s historical data. Apart from that, you’ll come to know the Latent Semantic Indexing Keywords that have the real potential along with Google’s historical data. You may also get some Long Tail Keywords along with the LSI inside the GKP Tool. Semrush is an all-in-one marketing tool. It allows the users find some potential insights about the competitors in a very short time. The LSI keywords could be scrapped with this awesome tool. The Semrush is a Freemium tool which is the best tool for analyzing the competitor’s data with the clear insights. It helps me collect some of the potential Latent Semantic Indexing Keywords. This tool also offers premium tool access for the paid users. The Long Tail Pro is a tool that helps you find the Long Tail Keywords as well as the LSI Keyword phrases very quickly. It also helps the users find the web pages that are ranking for the particular keyword. It is a premium tool that is worth trying for all your keyword research action. I am personally using this amazing tool for my keyword research strategy and also for my Latent Semantic Indexing Keyword practice. There are wide resources and tools available for grabbing LSI keywords. Some of the notable tools are ToolFeast, Ultimate Keyword Hunter, Uber Suggest and more. Absolutely Yes, the LSI Keywords are very much helpful in growing your online presence for sure. It helps you succeed by enhancing the SEO to the core. There are several benefits available for practicing LSI keywords in the blog post. They are explained in the below section. The LSI Keyword is the one which is considered as one of the search engine’s ranking factors. It helps the people improve their organic search visit to their Online Websites. The SEO is the major Game Changer in this Online World. One should have enormous knowledge about SEO for ranking his/her website to the first page of SERP. The wider targeting of the audience without getting penalized by the search engine could be attained. 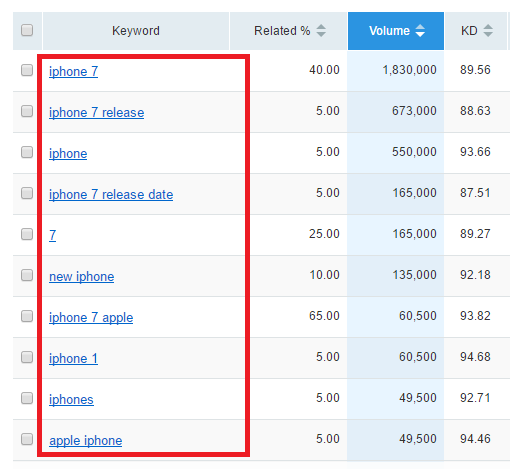 If you’re planning to target the “iPhone 7 headset” audience, then you’ll be focusing this keyword on your blog post. You may also include “iPhone 7 headset” keyword multiple times naturally. This may lead to Keyword Stuffing concept which means that the targeted keyword density reaches a high value in the blog content. Thus, over optimizing the keyword leads to spamming the internet. Finally, your blog might get penalty issue in this case. So, you should replace the “iPhone 7 headset” keyword with “iPhone 7 mic”, “record on iPhone 7”, “capture the voice with iPhone 7” and more. The LSI Keywords could help you rank your weblog content for multiple keywords without any doubt. The injection of multiple keywords that have been associated with the Latent Semantic Indexing keywords would definitely drive thousands of audience organically. The wide range of audience would engage with your blog post if you’ve successfully implemented LSI strategy inside your blog content. Thus, optimizing the LSI keywords could bring huge relevant traffic to your blog post without any doubt. As I mentioned earlier, if you’ve used LSI keywords in your blog post, you’ll never get into Search Engine’s penalty trap. If you’re using the primary keyword several times in the blog post, then your keyword density percentage reaches very high amount. Thus, your website may fall under the Search Engine’s Penalty trap. To avoid the repeated occurrence of the primary keyword, the LSI – Latent Semantic Indexing keywords should be used. Thus, your website may fall under the Search Engine’s Penalty trap. To avoid the repeated occurrence of the primary keyword, the LSI – Latent Semantic Indexing keywords should be used. So, using the LSI keywords would make your blog post rank high without any penalty issue. The bounce rate is also considered as one of the essential ranking factors. The huge bounce rate would lead to negative impact and may affect your website ranking. The quicker the users abandon your website page, the higher the bounce rate would be. So, reducing the bounce rate would make your website rank healthier than before. The implementation of the LSI Keywords should be done carefully for attaining perfect SEO benefits. The essential Latent Semantic Indexing keyword secrets and tricks would be provided in this section. The optimization of LSI Keywords would definitely bring the real success without any doubt. The LSI Keywords inside the Search Meta Description could increase your chances of being clicked by the people on SERP. Thus, meta description improves the visibility of your page on the Search Engine Results Page for the targeted LSI keywords. It also boosts the ranking criteria of your weblog to the core. Stalking on your competitor is the best practice for improving the effectiveness of the LSI Keyword. If you’re stalking the competitor and analyzing their keywords, then you could easily target the same which he/she is ranking for. So, scraping the data of your competitor using any plugin or tool is recommended for grasping the huge LSI Keyword Collections that they’re targeting successfully. If you’ve any important LSI – Latent Semantic Indexing Keyword for targeting the major relevant audience, then you should focus on the LSI to be inserted in your Content Title. It works well for showing the relevant article for the potentially worth LSI keywords. I suggest you insert the LSI keywords for any good replacing words and also recommends you naturally make a sentence to suit the LSI Keyword inside your article. So, proofread your content carefully after the completion of your blog post by searching for the particular words that could be potentially replaced with. This may sound funny but it sometimes works. Do some 2-3 fake or edit your comments which include the potential LSI keywords under your blog post’s comment section. This would add some credibility to your LSI keyword occurrence without any issue. I strongly recommend you never spam the comment section to the extreme level as the Search Engine might catch you. This is my secret strategy for finding out Latent Semantic Indexing keywords. It would be helpful for you to build a good keyword research strategy. I always use Ahref tool for finding out the keywords that my competitor ranking for. Then, I would grab all the potential LSI keywords via the Ahref tool. Next, I would feed all the Latent Semantic Indexing Keyword inside the Long Tail Pro tool and check the keyword competitiveness. Now, I would choose all the potential keywords that have Low Keyword Competitiveness (10 to 30 KC) through the Long Tail Pro Tool. 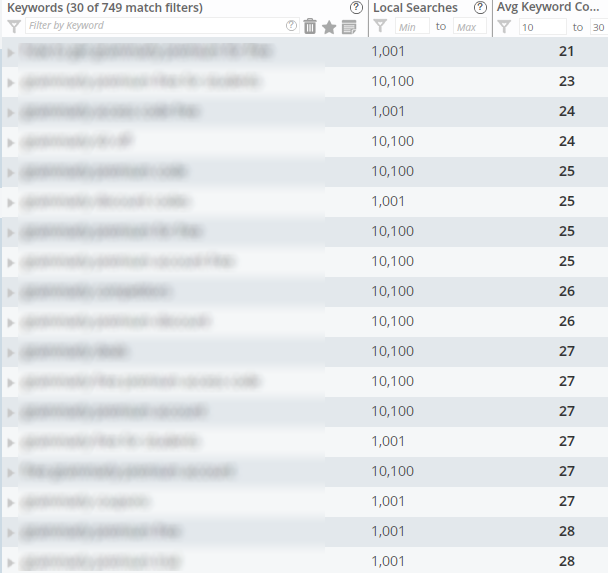 Finally, I’ll start to implement the LSI keyword which has less Keyword Competitiveness inside my blog post. It helps me gain proper LSI keywords and it works for me in a perfect manner. You might duplicate this strategy for your real growth as well. This strategy helps for my all successive Micro Niche Marketing Blogs. I also recommend you host your Micro Niche Weblogs on WPX Hosting Platform to maximize your growth. Also, your content shouldn’t have any grammatical mistakes as well. 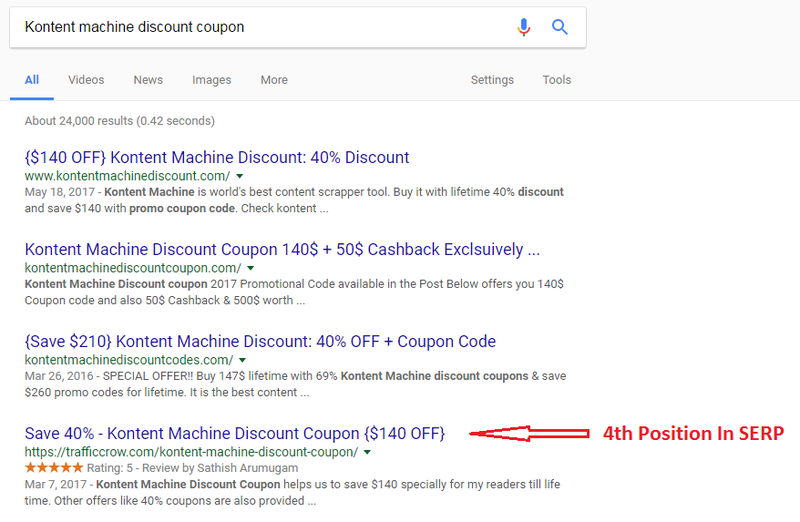 So, I provide you two discount offers to add value for your LSI Keywords Strategy. The WPX Hosting Discount Coupon and Grammarly Discount Coupon are available for our blog readers exclusively. Finally, you’ve read the fundamentals and some of the professional tips about LSI – Latent Semantic Indexing Keywords via this blog post. I hope that this LSI Keyword Complete Guide helped you for boosting your weblog’s traffic. This guide denotes the essential steps for implementing and experiment the things to achieve a good strategy in ranking your blog post to the next level. The LSI keywords matter a lot for optimizing your blog content for the Search Engine. Thus, it also helps you find the relevant potential audience group with the help of LSI keywords. So, implementing the Latent Semantic Indexing strategy could help you gain more benefits in this online world. very informative article about LSI Keywords. the list of tools that you have shared for finding LSI Keywords will be very useful. Great write up on the different tools we can use to find LSI keywords. I actually purchased Web Content Studio back in 2012. I still use it today, but not sure if it still works as some of the more popular ones you mention here. I also use Longtail Pro for my keyword research. Actually, I take the time to do keyword research every month and will write down potential blog post ideas that I want to write articles about for the month. This helps me realize which blog posts I want to write without having to spend so much time on my keyword research. It’s taking a while, but I am finally starting to see some traffic from Google. It’s nice to know that once you write the article, eventually Google will send you the traffic. Thanks for sharing your detailed review on this article. I am also using Long Tail Pro for a comprehensive keyword research to find potential long tail focus keyword. Knowing the significance and benefits of using LSI keywords throughout the content, makes me craft an article about LSI keywords. 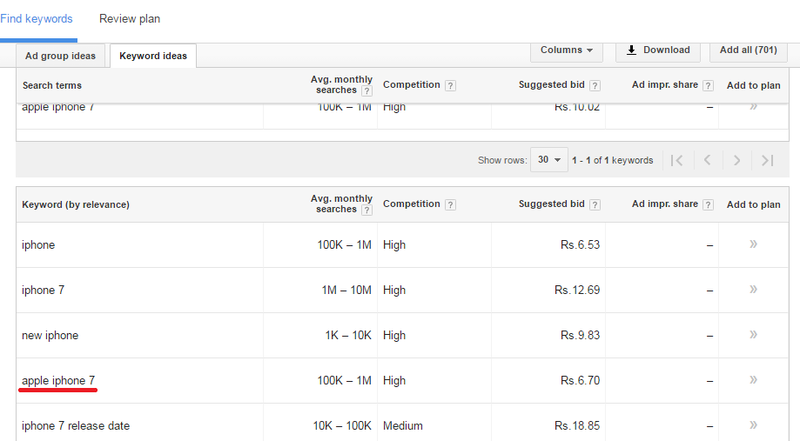 Hope it would be more helpful for bloggers if they have any particular posts lags in SERP ranking. LSI keywords strategy is best for improving old blog posts performance. Obviously, we all aim at getting more traffic to our pages. LSI keywords are efficient to get indexing for multiple keywords and targeting wide extent of the audience. Hey! I want to say awesome piece of content. Anyone who dont even heard about LSI will become an expert after reading this article. It contains each and every point cleared on LSI which i find very important for On page SEO. I just want to add one more tool KwFinder for finding long tail keywords or LSI keywords. Both long tail and LSI are crucial for improving the visibility in the search engines having their own importance. just right Now I learned amazing things about SEO and LSI Keywords Thank’s Sathish. This is great information. SEO is always changing, but there are some great tools here that would be helpful for any business looking to succeed at basic SEO efforts. Thanks for the tips! You have written this article in detail with easy to understand. Actually, I have heard many times that, put LSI keyword in your article but I don’t know about what is LSI keyword and how to find. But after going through this article my all doubts are cleared. And thank you for sharing some free tools to find LSI Keywords. Thank you so much for sharing this great content with us.